My favorite thing about Lara Casey's Power Sheets is the preparation process they guide you through before you name your goals: reassessing the past six months/year, finding what works and what didn't along with the lessons learned, redefining your core values and what fires you up. All of these things lead you to goals that will truly make what matters happen (and show you the motivation behind them)! As part of the prep, a blank page is provided on which to collage your life vision. I look forward to this part with each set! This will be my third year choosing a word and creating a vision board for the months to come, but this is my first time making a LIFE vision board. I wanted to put on paper (and in a pretty picture) the things want to see cultivated in my life. I turned first to Pinterest (images + sources) then to Photoshop to throw this beauty together. But I don't want it to sit in a binder or on my fridge as nothing more than a creative collage. I want to live this out, and I'm asking you to walk through this with me. Call me out, hold me accountable, and let me throw some confetti at you along the way! We were made to live our days in community, and I know the Lord is at work in the women of the blogging world. But without further ado, here is my life vision. I want to live a life saturated in Scripture. I want to travel the world, sight-seeing and serving. I want to invest in the next generation, be it my own children or someone else's. I want to live in rich, Christ-centered community that gathers often and loves well. I want to look first for beauty and God's design, seeing his handiwork in even the mundane. I want to tell creative stories with artists young and old, revealing the value of their unique voice. I want to take time to savor the little things: coffee dates, quiet moments, a new journal, and so on. I want to turn to Jesus first in each day and each circumstance, depending on His wisdom + guidance. I want to be a woman who throws gold, glittering confetti to celebrate others. 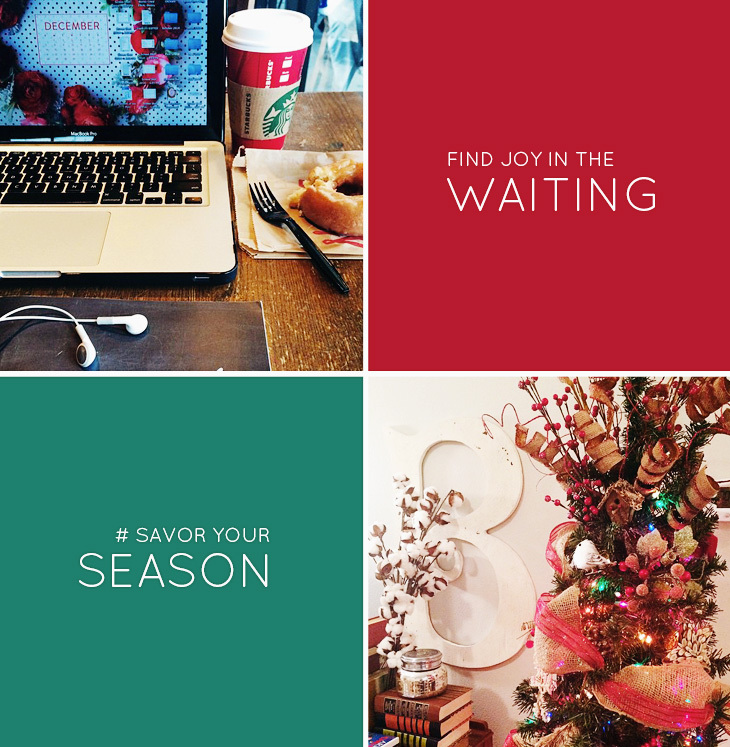 I want to be a woman who encourages + empowers + equips others to savor their season. I want to be a woman who says both an intentional yes AND no, following the Lord's lead. I want to be a woman who is comfortable in her own skin, dares to wear color, and smiles a lot. I want to be a woman who takes care of her heart and her health so her dreams can come into being. I want to be a woman who uses my gifts to share the gospel, spark meaningful conversations, and love others. I want to be a woman who speaks life into others, calling out the good and the potential especially when they cannot see it. Lofty ambitions? Absolutely yes. Am I going to be perfect? Absolutely not. But I want to do my best to live these out, resting in His grace and will. 2015 is the year I want to dive into these things whole-heartedly. 2015 is chock full of potential and I want these to be part of the foundation everything launches from. 2015 is just around the corner. How are you preparing for the New Year? It's here, it's here, it's here! Or really... it happened, it happened, it happened! A dream became a reality in the 2014 Merry & Bright Gift Swap all thanks to you lovelies! It was early in the year that I knew I wanted to host a Christmas gift exchange through the blog, but I wasn't quite sure how it would turn out. I was starting from scratch as far as the organization of it, trying to get the word out, wondering how even to get people involved. In my mind, the swap would be successful if 20-30 people signed up. With this in mind, I threw out a sign-up sheet in October and let the numbers begin to grow. Little did I know that just shy of 150 women would sign up to send some Christmas goodness to a stranger! I was completely blown away (and slightly overwhelmed when it came to assigning.. oops!). You all were so patient and gracious as I assigned partners all over the world (which also blew my mind)! We had participants in the US, Canada, Australia, Singapore, France, and Austria! What a wonder! My Merry & Bright partner was the lovely Rachel of Oh Simple Thoughts. I have admired this lady in the blogging world for quite some time and was glad for the chance to send a note and a gift her way this Christmas season. She is such an encouraging and inspiring gal to follow, so I highly recommend you hop over to her blog or instagram to check her out. She also has a shop full of goodies, and I have to say I about squealed with joy when the grocery tote arrived in the mail! I'd been eyeing it for a while and cannot wait to put it to good use. She also sent me some pretty prints, bunting, chocolates, and hair ties that are just delightful! (I've been moving from room to room as the holiday's have rolled around, so the rest got tucked away for safekeeping until I get back to my apartment). Her adorable family's Christmas card is more than adorable, by the way! I sent a few of my favorite things her way that same week: a candle from Anthropologie and some mercury glass ornaments with her and her hubby's initials. What about you, my friends? What goodies did your swap partner send via snail mail? I hope everyone enjoyed getting to know their buddy and spreading some Christmas cheer. 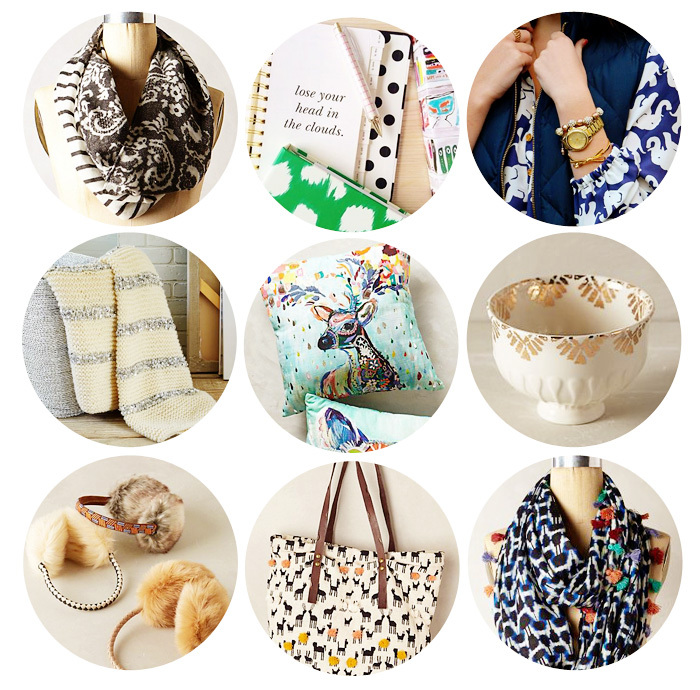 I must say I'm already looking forward to the 2nd Annual Merry & Bright Gift Swap in 2015! In the midst of the holiday hustle and bustle, I wanted to drop in and wish you all a very Merry Christmas. Whether today is a day full of great celebration or deep heart hurts, I pray that you find comfort in the knowledge that the Greatest Gift was sent for you. Peace came into the world in the form of a tiny babe and is available for you today. I pray that blessings and warmth fill your heart and your homes, and that we would all find a moment to shift our focus back to the real reason for the season. And I thank God for the gift of each and every one of you! to every man was coming into the world." The last few weeks of the year are just flying by! As eagerly as I've been hoping for the "Restart" button we push on January 1st, looking over 2014 has me all sentimental. I want to go running back to some of my favorite moments and savor them a little bit longer. There have been high high's and low low's, but through it all God has been so faithful. He has remained so steady when I've felt insecure and wavered. He knew just what I needed before I knew what to ask. 2015 will be the same. Last week I shared Part I of A Look Back at 2014. I hit the highlights of all the places I have traveled, the movies I've seen, and the books I've read (or am still reading). Today, we continue with favorite moments, music, and the victories I want to count and cary with me into the new year. I was in Seattle for the first half of the year, making the long journey back at the first of July. Actually my dad made the drive and I flew home --thanks, Daddy! Even so, packing up all of my belongings into my little red VW Beetle was quite the feat, and my friends sent me off with a bonfire on the beach that was heavenly. Literally. Worship music, floating lanterns, encouragements. I could have died a content woman right then and there. But I didn't ;) 2014 had so much more to offer! Some of my favorite memories came in my final weeks in the Pacific Northwest. Going up in the Space Needle with Mel and her little one, exploring Discovery Park with Stef, food trucks at the market after church, Lifegroup fun bombs. The list could go on and on. I often said I wished I could pick up all my people and put them in my pocket to take to Oklahoma with me. Well, I couldn't do that, so I suppose hurrying myself back there this summer is going to have to do! In September I hosted The Blog-tember Challenge which got a HUGE response! I was expecting 10-30 ladies to link up each day and sometimes we had almost 100! You gals blew me away. It was a feat in itself to blog every day for one month (I tried it in February, you know my gone-half-the-month month? That was a struuuuuuuggle). It still wasn't easy this go around, but I'm so proud of myself for doing it. The Blog-tember Challenge will definitely be back next year! This little blog has been growing in so many ways, including my Instagram family and Twitter pals! I had the honor of being featured in Emily Ley's Simplicity Series as well as contribute to Rachel's series on Singleness at Our Yellow Door. Lauren invited me to Elle and Co. for a coffee date and I got to introduce myself to the Firework People blog two weeks ago! I LOVE collaborating with other bloggers. Hit me up if you're interested! At the end of this month I will have successfully completed my first FULL YEAR using the PowerSheets. Lara Casey's goal setting worksheets have made a huge impact on my progress toward the goals I set last January, and I got a new set for 2015 in the mail this weekend. I am ready to bring my best for the year to come! Now, when I say I successfully completed the year, that does not mean every box was checked or every goal was met. Oh no. Some months got a big fat question mark over multiple weeks. Life had to come first and sometimes got in the way. But I learned that every unmarked box is a space for grace, and it's all about progress not perfection. I hope to take that into the new year with me, too. Music moves me in a powerful way. There are very few moments during the day when I am not listening to some kind of music, be it a worship CD in the car, Pandora at my office, or a Spotify playlist at home. The kind of music I listen to really affects my attitude, and I've had to make some intentional changes this year. For instance, I love love love me some country music, but all the songs about love gone wrong or longing for love began to tug on my heartstrings in unhealthy ways. It made me discontent and envious, and put me in a foul mood many days which was absolutely unnecessary. I still listen to it on occasion, but not near as much as I used to. These days I'll choose one song, or one playlist, and have it on repeat for weeks. The songs, albums, and artists listed below have made the most impact on my heart and life this year, and they'll be the first to go on my list for 2015. I highly recommend them! Really, how on EARTH do I fit an entire year in two posts? I'm beginning to think it's impossible. But there are a few more things that can't go without mentioning. This year I applied to and got into graduate school. WOOHOO! That is something to celebrate. If I'm being honest, I sometimes have a hard time naming my victories, which I know is a tactic of the Enemy to make me doubt God's goodness and provision. But no more! He led me to OSU, even if I wouldn't have originally guessed it as my destination, and has been hard at work ever since. In 2014 I moved from Seattle to Texas then up to Oklahoma. Now that's a feat! In 2014 I fell absolutely in love with my Firework People. These gals could use their own post --their own series!-- for how much of an impact they have made on my life in the past three month. Firework People is an online community of women rooted in the encouragement of one another, calling each other up and out to live out their wildest dreams and conquer fears. What started out as a weekly Twitter chat has blossomed into a family of 850+ women. They never cease to amaze me! I have the joy of being on the core team and the Street Team Coordinator; my life is so enriched by these women! I am sure you will hear more about FWP in the future, but if you're curious send me a note or check out some of the twitter chats here: ROCKIN' 2015 + RISK. Some of the greatest joys of the year have come in small packages. I have loved having my own apartment to decorate and call home. It is the perfect retreat at the end of a long day. I made a bold move and went ombre with my hair at the beginning of the school semester, which I also loved! (Don't ask me how I feel about cutting it all of next week.... okay, I'll tell you, I'm STRESSIN' just a bit!) Being close enough to drive down to Waco for a weekend has also been so sweet. I got to celebrate a friend's bachelorette party in August, make it to the first homecoming in Baylor's new stadium in November, and see a friend in Les Mis earlier in October! It feels so good to be so close. 2015 has a lot to live up to, but I'm sure it's up for the challenge. Now to spend the rest of this week savoring the holiday season with family and friends. Merry Christmas! Advent is unlike any other season. There's extra magic in the air, an expectation that bubbles inside of us, an eagerness in the waiting. But with that eagerness comes a unique willingness to wait. We're ready for the festivities and family get togethers on the horizon, but we don't want the season to end. Advent is a special season where each day is savored, infused with the knowledge that this feeling, this day, will only last for a little while, so we should put as much as we can into it and get as much as we can out of it. If only I could approach every season this way. 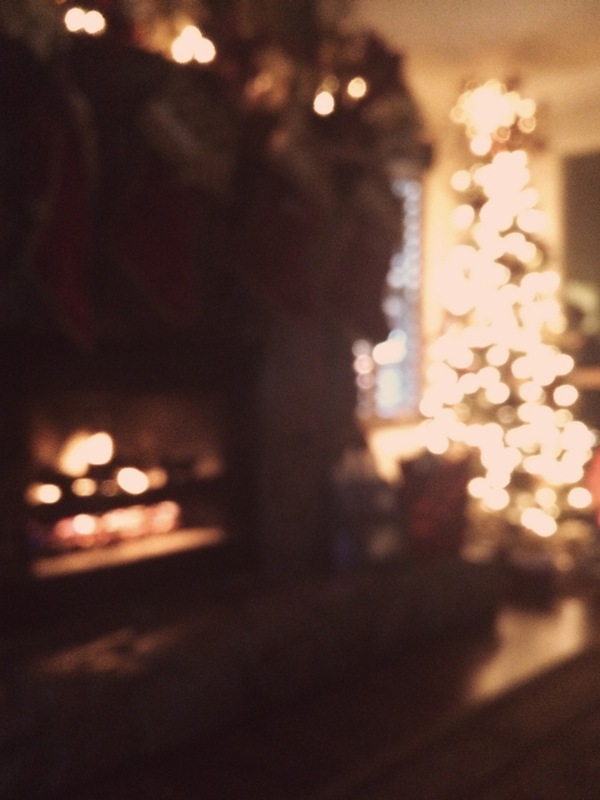 During advent, I find the quiet moments, the stillness, and breathe deep. During advent, I find more patience for the long check out line at Target. During advent, my to-do's become have-done's in record time to secure a free hour for that Christmas party. During advent, I drive a little slower in parking lots, watching families bundled in mittens and scarves scurry to the car. During advent, I savor the sounds and the scents, trying to memorize each one, because I know it could all be over tomorrow. I think the advent season is such a reflection of the Lord's desire for our hearts. Each season is intentional, well planned, infused with God's presence, and its ours for the taking. It's ours for the savoring. But often we --or at least I-- see what's up ahead, or think I know what I want to happen in the next season, and I barrel forward. I push and press and pray for a change in season, and I miss out on what's right in front of me. The temptation is there with advent, too. 2015 is just around the corner, and amidst the red poinsettia Starbucks cups and holiday deals, a plethora of goals setting tips and work out plans and New Years savings begin to pop up. Get ready for the next big, BEST thing! The advertisers know this is how we're programed. I say we take back the waiting. I say we make intentional moves to savor the season. THIS season of advent. OUR season of life. MY season of grad school, singleness, whatever it might be. Look at the center of it. Give thanks for what you have where you are. Ask the Lord what it is He has for you HERE. Trust Him with tomorrow, and press into HIM and His Word today. Find joy in the waiting. Savor your season. It's funny, but I often have the hardest time answering "What do you want for Christmas?" I'm pretty sure my sister asked me and I responded with a very articulate "........uh?" In a way it's a miracle I was able to put this list together over the weekend, and it's partially because I did some of my own Santa shopping this year so I know these guys are already hiding under the tree. Thanks, Mom ;) I put my Anthropologie discount to good work and kept the steadily coming winter in mind, and I'm pretty excited for the unwrapping to ensue! Sequinned Throw. Mooreland Pillow. Anthro bowls. Earmuffs. Deer bag. Tassle Scarf. Accessories and home decor seem to be the theme here. I have some physical fitness and closet purging goals in mind for 2015, so I'm staying away from purchasing too many clothing items, but the StitchFix subscription is the exception (and maybe my favorite thing on this list)! 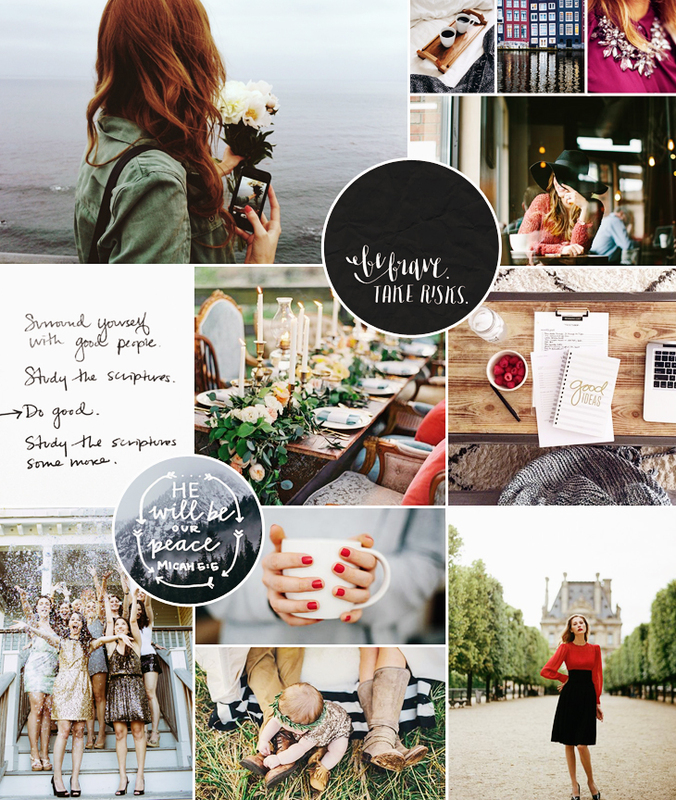 I love that the stylist takes into account your likes and your inspiration boards (hello, Pinterest!) and sends items to suit you each month. You get a few days to try it out and send back what you don't like, then are charged for the times you keep. My first Fix comes in the mail next week, and I cannot wait to show you the first go-around! Check out the details HERE. What about you? What's on your wish list this year? Anyone else hit Anthro's mega sale-on-sale this weekend? This month might be my favorite. Winter is certainly my favorite time of year, and a month full of hot chocolate, Christmas music, cozy sweaters, and crisp weather takes the cake. Once again, this month arrived much faster than I expected, and once again I've got a list full of goals I want to make happen. But even with my long list of to-do's, I want to spend time savoring this season, operating out of rest and intentionality so that I don't burn out in these last few weeks of 2014. Anyone else with me? I don't know if anything better exemplifies my obsession with planners than the above picture. 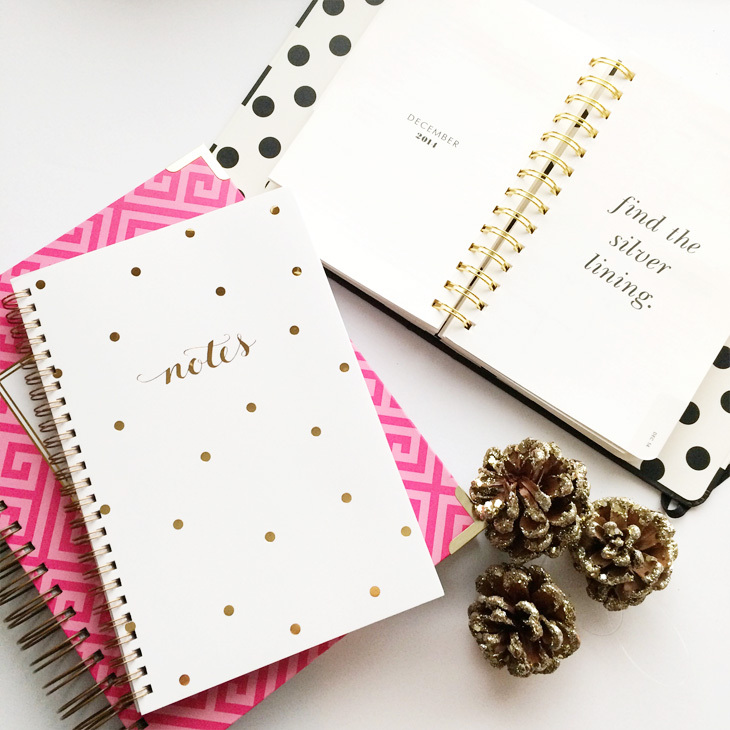 The pink Simplified Planner by Emily Ley will be my main organizing tool for 2015. The white and gold polka dotted Notes planner by Sugar Paper LA is largely blank pages with a 12 month overview in the front. I'm using this to tackle the Firework People master calendar and highlights from all the weekly meetings (core team, street team, Twitter chats, master class, Insta challenges, etc). Lastly, I picked up a mini Kate Spade agenda to serve as my blog base binder. I want to enter 2015 with series planned, posts written, and the vision clear. Now onto last month's recap and this month's goals. Have MY show performance ready before Thanksgiving. Well, we're mostly performance ready. The final show is this Friday so I have a few more days to tweak things as needed, but I am so proud of all the hard work my girls have put into this! Assign all Merry & Bright Gift Swap partners. GLORY BE! This happened! I had a much larger response than I was expecting to the swap (I hoped for 20-30 but ended up with 150. What?!?!?). It took me hours to pair everyone up and send the info to each partner. However it is FINISHED. Hallelujah. I can't wait to see all the swaps! Finish my research paper! I finished the rough draft, 7 pages, so that counts yes? I am currently procrastinating the rewrite as we speak... and it is due tomorrow. Yikes! Finish The Best Yes by Lysa Terkeurst. Er. I didn't quite finish this one. It's on my list. Read/study Acts & Romans while continuing the Influence Conf. devotional. I spent more time with the devotional than I did Acts & Romans. Those are on my list for the start of the New Year! Get active 3x's per week. This was closer to 2. I took a Zumba class, went to the gym several times on my own, ate better, and lost 5 lbs! Woo! I call that progress! Decorate my apartment for Christmas! This happened in part, and I was on track to finish completely until I realized half my decorations were still in Texas. Boo. Tackle my inboxes at the beginning and end of each week. YES! This is something that has been consistent! Journal through the Naptime Diaries Advent study + #illustratedadvent. I bought a journaling Bible specifically for art journaling last month but did not have the time to begin. There are several ladies intentionally journaling through the Advent study and I hope to join in! Follow #braveloveadvent on Instagram, and check back at the end of each week for an update. Clean + Declutter before the break. Over the weekend, my mom and I overhauled our storage unit, and I brought new things back with me to school. My apartment is in major need of reorganization, even unpacking that I have been putting off since August. I want to find a place for everything and put everything in its place before I go home for Christmas. Memorize These Shining Lives. Remember those auditions I mentioned above? I was cast as the lead in a show for the spring, and my character, Catherine, narrates almost the entire thing as well as participates in scenes. I have a lot of memorizing to do! If I'm off my game, everyone else will be, too. I hope to have 75% memorized before the New Year, and the rest before school. Work as much as possible at Anthro with a positive attitude! Retail during the holidays can be stressful, but I want to make the most of my job/short time to work by bringing a positive attitude in and walking out with the same. There's something about that store that can make gals catty, plagued with comparison, and materialistic, so I am declaring that those things WILL NOT cover my break! Plan holiday festivities for my family. We already have tickets to see the musical Once, and mom and I have agreed to visit the Arboretum's 12 Days of Christmas, but there are a few more things to add to the list! I want to soak up as much of the Christmas season with my parents and siblings as possible. Read The Greatest Gift, Love, Skip, Jump, The Best Yes, and Harry Potter and the Goblet of Fire. I am SO CLOSE to completing my 101 in 1001 goal of reading 25 books in 12 months. It was initially 15 in 12 but I blew through that number in July. These books are either partially read or have been sitting on my end table for weeks waiting to be picked up. Let's do it! Save for Hope Spoken + The Influence Conference. My job at Anthro is not just for fun money. Well, it technically is because these conferences are going to be MORE than fun! I want to put a significant amount in the bank to cover travel expenses for these exciting weekends. Prepare for 2015. This includes praying about/choosing my word(s) of the year (I already have a few on my heart! ), organizing my planners and school schedule, revamping ad swaps and sponsorships for Brave Love, beginning my 2015 PowerSheets, and more. I get the feeling it's going to be a great year and I want to be prepared! What about you? What are you making happen this month? Any fun holiday traditions I should try out? What books are you reading over the holidays? I'd love to know!